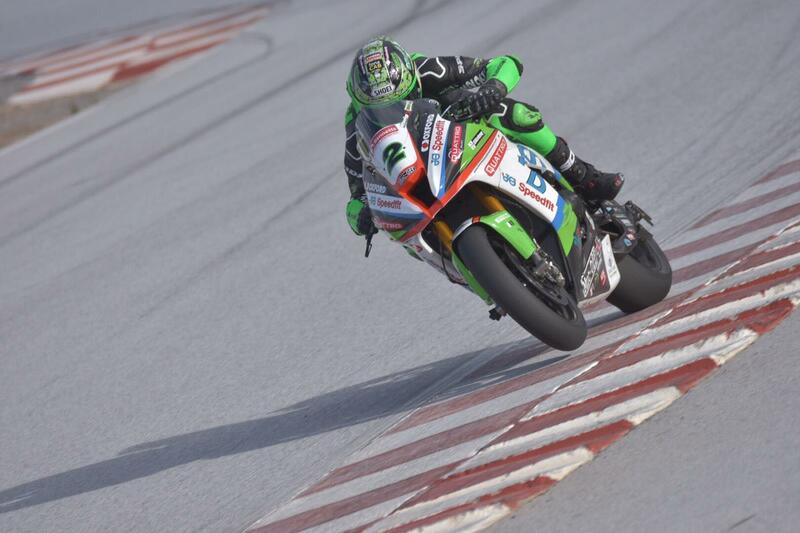 Glenn Irwin has said he already feels a ‘connection’ between him and the Bournemouth Kawasaki he’ll ride in next year’s Bennetts British Superbike championship. The Northern Irishman made his debut with the championship-winning squad in Guadix yesterday, as the team get some time on track before a rumoured winter testing ban kicks in in January. Irwin completed almost 80 laps of the Spanish circuit on Wednesday and is back on track today as he looks to familiarise himself with the four-cylinder machine having spent the last three years on the Be Wiser Ducati. “It’s a massive difference, of course,” he told MCN. “The first session was weird, I’d often find myself in the wrong gear and stuff, but once I ironed that out the bike felt incredible. “I’m really comfortable on the bike already, which surprised me for the first day. We managed to complete 80 laps which is nice as we know what to expect on Thursday. “I can feel the potential of the bike and I can feel there is a connection between me, the bike and the team so it’s all feeling food for this time of year. What I now need to do is understand how to get the best out of the package.